What makes the L3030G4 so effective is its conveyor drive system. With a #5 moderate oil resistant belt, there is no conveyor chain or chain oiler so maintenance time and costs are greatly reduced. A 30 inch 3-ply belt gives you a smooth flow of product along with the strength and durability needed for high loads of fertilizer. 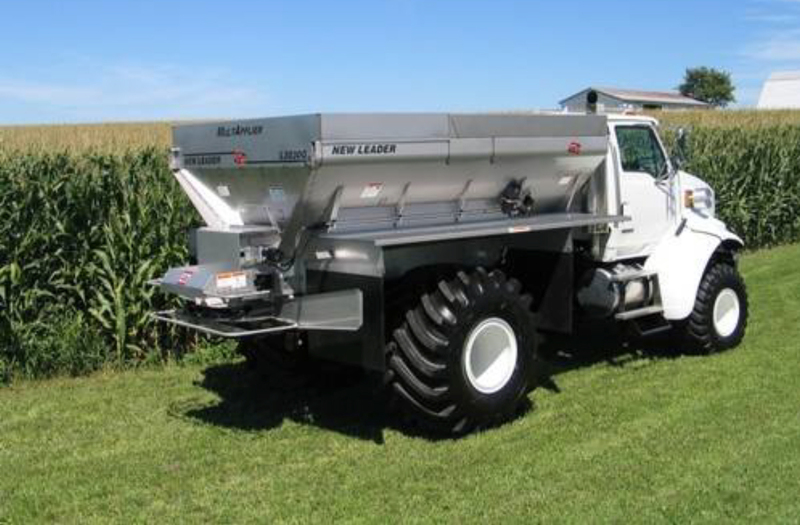 For additional efficiencies, the L3030G4 can provide multiple product applications in one pass. This design is ideal for variable rate application of single, dual and even three products. With the addition of the optional MultApplier, two products can be applied independently. Add the optional MicroBin and spread micronutrients or some seeds as a third product in one pass.